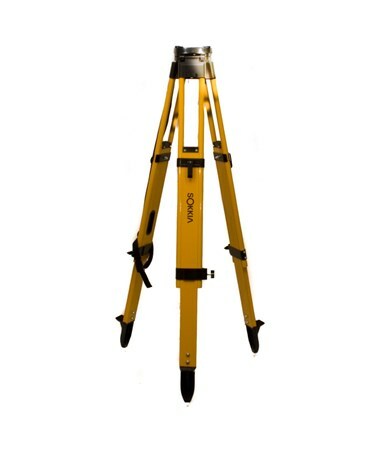 The Sokkia Heavy Duty Fiberglass Tripod 724251 serves as a durable solid base for a wide variety of survey or construction instruments. 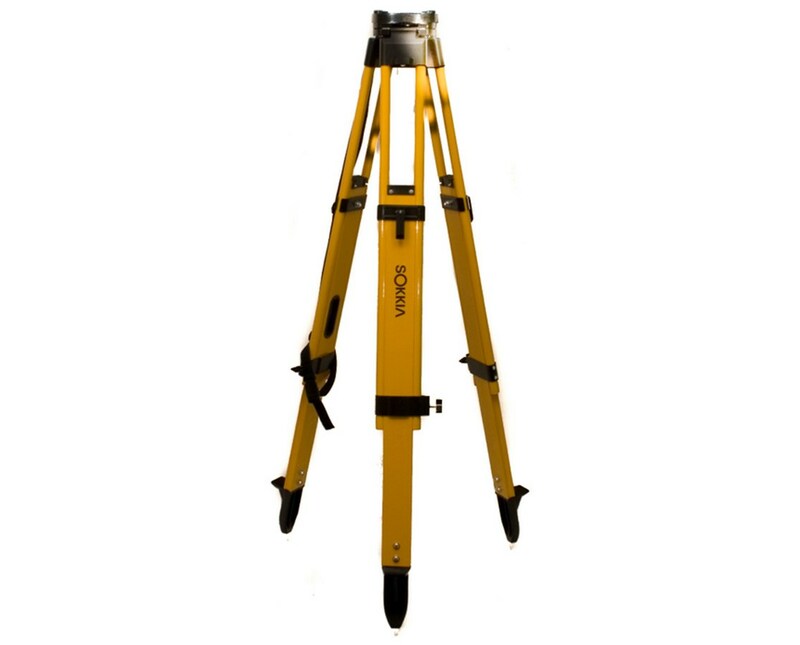 Adjust its telescopic legs to change the height from 42 to 70 inches. Each leg is equipped with reliable dual clamp locks that securely hold the device at the level you set. The pointed steel feet provide excellent grip and stability. Once everything is set, you can place your equipment on the flat head using the standard 5/8-11 threading. The Sokkia Heavy Duty Fiberglass Tripod 724251 resists moisture, shrinkage, and swelling. Its bright yellow color makes it visible to other vehicles on or near the work site. It includes a plumb bob hook and a shoulder strap for easy transport.